You know that question about a certain number of books one would like to have on a deserted island, well, said question starts sending shivers down my spine each time I hear it. You see, I would need a large coffer for the books I would like to have with me in such an unfortunate case and I would still panic since I believe it will not be enough. Of course, there is hardly need for worry, this hypothesis assumes that one foretells the event and brings all the right books along instead of staying home and avoiding such a grim perspective, from multiple points of view. But I’ll play along once more with the assumption and say that in the case of ending up stranded on an island I would love to find among the books I’d have with me Carole Lanham’s “The Whisper Jar” too. This collection of short stories was for me one of the most pleasant surprises of recent years, each tale satiating my reading appetite while at the same time making me hungry for more. With “The Whisper Jar” leaving me craving for more of Carole Lanham’s fiction I went on the hunt for each new book she published. 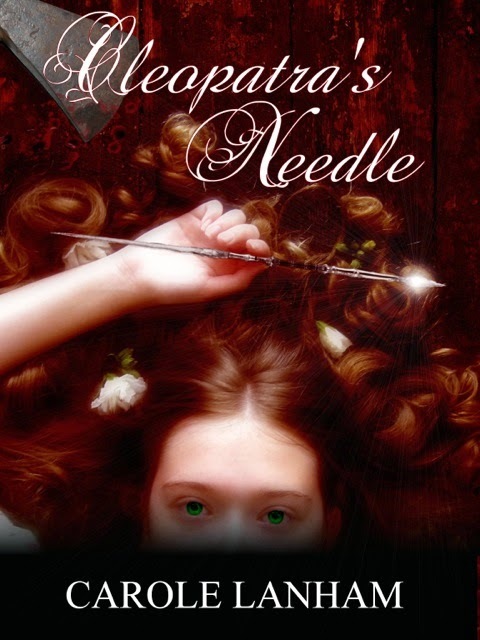 As a result, following Carole Lanham’s debut novel, “The Reading Lessons”, just this week the hunt brought a new trophy, her novella “Cleopatra’s Needle”. And by the looks of it, “Cleopatra’s Needle” promises to bring a story perfectly fit for Carole Lanham’s whisper jar, a tale of secrets, witchcraft, cruelty and romance. A story that I need to devour right away. And which brings me back to the question from the beginning, if each year offers for reading and consideration new, wonderful books from our favorite writers, such as Carole Lanham for me, or recently discovered authors, how am I to make a choice of beloved titles limited to only a handful of them? When Lilabet last saw Iago, they were ten years old. Whisked off to America by his father in a desperate attempt to escape the dark superstitions of Wales, Iago’s letters have been the single thing to connect them. Now, fourteen years have passed and Iago has asked Lilabet to be his bride. Eager to begin a modern life in an exciting new land with the man she has loved for all her days, Lilabet is about to discover that black magic may find a home on any shore. Three red-haired witches have been playing a deadly game of revenge with Iago and if she wants to have a life with him, Lilabet will first have to fight the dark forces that have claimed her young husband for their own. Aurealis, the prestigious Australian fantasy and science fiction magazine, celebrates soon 25 years of continuous publication and as part of this celebration Aurealis Magazine is offering to the readers a free half-year subscription for 2014. To get the last 5 issues of the year, Aurealis #72 to Aurealis #76, you can make a free subscription to Aurealis Magazine on its Subscription Page. The offer is open until the end of July. 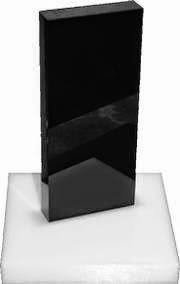 I hold small, independent publishers to high esteem, I find more often than not that they are bolder than the bigger presses when it comes to publishing books that break the confines of certain limits and their sustained efforts of bringing challenging titles to the readers are nothing short of praiseworthy. One such small publisher, of which I’ve become quite fond ever since its foundation in 2011, is Spectral Press. An independent publisher dedicated mostly to limited signed editions of single story chapbooks and occasional novellas Spectral Press released over time some very interesting titles from some of my favorite writers, such as Gary McMahon’s “What They Hear in the Dark”, Cate Gardner’s “Nowhere Hall”, Alison Littlewood’s “The Eyes of Water”, Tim Lebbon’s “Still Life”, Mark West’s “What Gets Left Behind” or Stephen Volk’s “Whitstable”, with more coming in the future from Angela Slatter, Lisa Hannett, Simon Bestwick, Robert Shearman and Ray Cluley. Recently Spectral Press started to publish single-author short story collections, such as Paul Kane’s “Ghosts”, and multi-author anthologies, such as “The 13 Ghosts of Christmas” edited by Simon Marshall-Jones, as well, and in this case, the next on the line is a very interesting brand new anthology, inspired by the popular 1960’s and 1970’s Pan and Fontana books of horror and ghost stories, “The Spectral Book of Horror Stories”. The good things do not stop with this little piece of news, in the style of the Pan and Fontana books of horror stories Spectral Press intends for “The Spectral Book of Horror Stories” to be an annual anthology, bringing each year new, original stories from the very best writers of the genre. 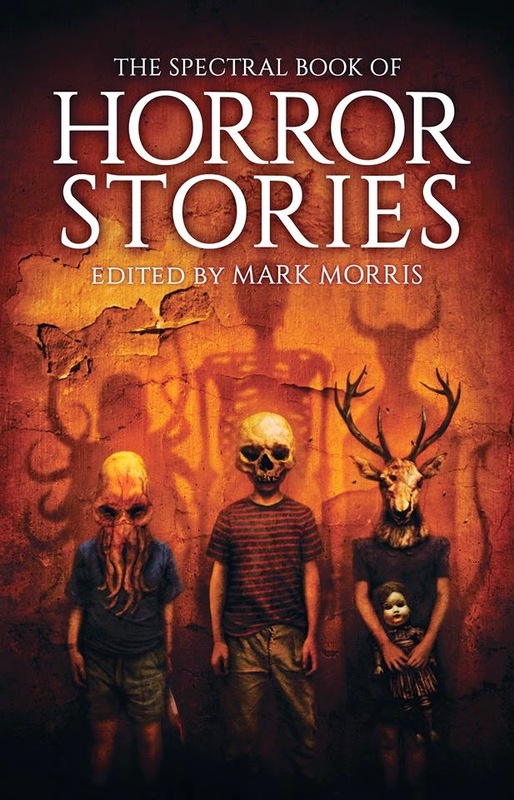 The first collection of this series is edited by Mark Morris and gathers a stellar line up of authors, including Angela Slatter, Alison Littlewood, Helen Marshal, Alison Moore, Gary McMahon, Conrad Williams, Stephen Volk, Robert Shearman, Michael Marshall Smith, Ramsey Campbell and Reggie Oliver. Equally outstanding is the artist and his cover artwork, the impressive Vincent Chong put his talent to excellent use and has created a perfect cover for “The Spectral Book of Horror Stories”, a creepy, disturbing artwork, but with plenty of alluring power to tempt the readers into stepping over the threshold of this anthology. 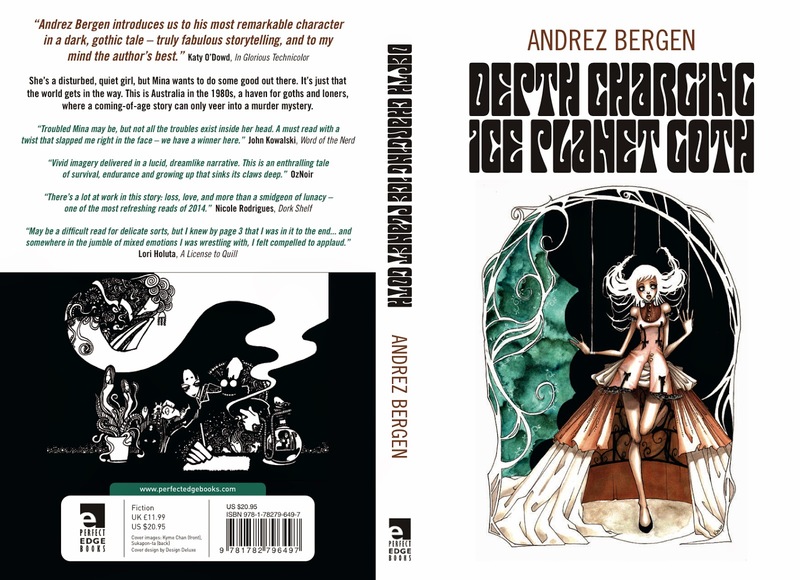 (If you wish to see more, there is a little post on Vincent Chong’s blog describing the process of creation and some of the sketches of this cover.) “The Spectral Book of Horror Stories” will be launched at the 2014 British Fantasy Convention, taking place in York during 5th and 7th September, with a mass signing session. With great regret I have to accept that as much as I would love to attend this book launch and get a copy signed by these wonderful writers this time it will not be possible, so the only thing it remains for me to do is wish all the best to Spectral Press and its new series of short story collections. And also to delight in the interviews made by Angela Slatter with the authors featured on the table of contents uncovering a bit of their writing process and the story behind the stories from “The Spectral Book of Horror Stories”. 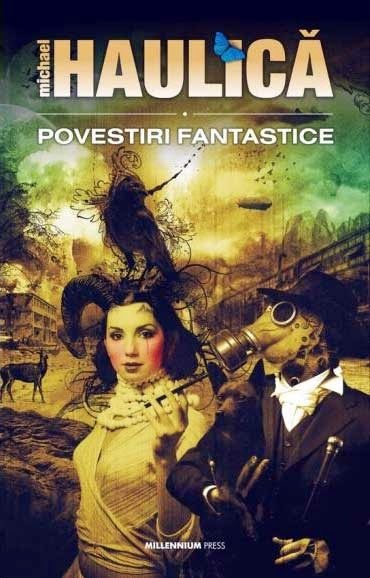 I am certain that plenty of Romanian writers can make an important contribution to the world of speculative fiction and I do hope that one day more of their works would be translated into English. If that starts to happen sooner rather than later remains to be seen, until then, here is another example of Romanian speculative fiction, a morsel of a story, “Lipstick”, written by one of the most important names of the local science fiction, Michael Haulică. “Lipstick” was published several times in Romanian, in 1993 in Jurnalul SF (SF Journal), 1996 in Dependent SF (SF Addicted), 1998 in Dealul Melcilor (Snails’ Hill), 2001 Cronica Română (Romanian Chronicle), in the author’s personal volumes, “Madia Mangalena” (1999) and “Fantastic Stories” (2010), translated into Danish in 2004 and published in “Science Fiction” magazine and in English in “Magaera” (2003), “Magaera Anthology Vol.1” (2005) and Anotherealm (2003), being finalist of the “Invasion” contest. You can read Michael Haulică’s “Lipstick”, translated by Adriana Moșoiu, either on his personal site or on Anotherealm. I am always thrilled to see a favorite writer publishing a new book, there is a joyful anticipation in opening a preferred author’s new work, a delightful feeling of meeting an old friend again. But there is a different, wonderful excitement to be had at the discovery of a new writer, a new author who enrich and refresh the reading experience and puts a spell on me with her/his writing. My latest such excitement comes from Benjanun Sriduangkaew, a name heavily underlined on the list of newly discovered writers, who kept me mesmerized from her first story I’ve read, “Fade to Gold” (“End of the Road” edited by Jonathan Oliver), until the last, the recently re-published “Courtship in the Country of Machine-Gods” (The Future Fire, September 2012/“The Apex Book of World SF 3” edited by Lavie Tidhar/Apex Magazine, July 2014). And every single one of these stories turned Benjanun Sriduangkaew into a certainty for me. Unfortunately, I haven’t read all of her stories published so far, for one reason or another some of them skipped under my radar. However, besides the two stories already mentioned, “The Bees Her Heart, The Hive Her Belly”, “The Crows Her Dragon’s Gate”, “Annex”, “Vector”, “Silent Bridge, Pale Cascade”, “Zeraquesh in Absentia”, “Autodidact” and “Golden Daughter, Stone Wife” were as many motives of delight, of immersing into magical worlds and tales, as many challenging stories full of beautiful writing and sensibility. But as I am still in love with the printed books, without much chance of falling out of it, I was delighted to learn that I’ll soon have the chance to add a book bearing Benjanun Sriduangkaew’s name on the bookshelves with my favorite volumes. 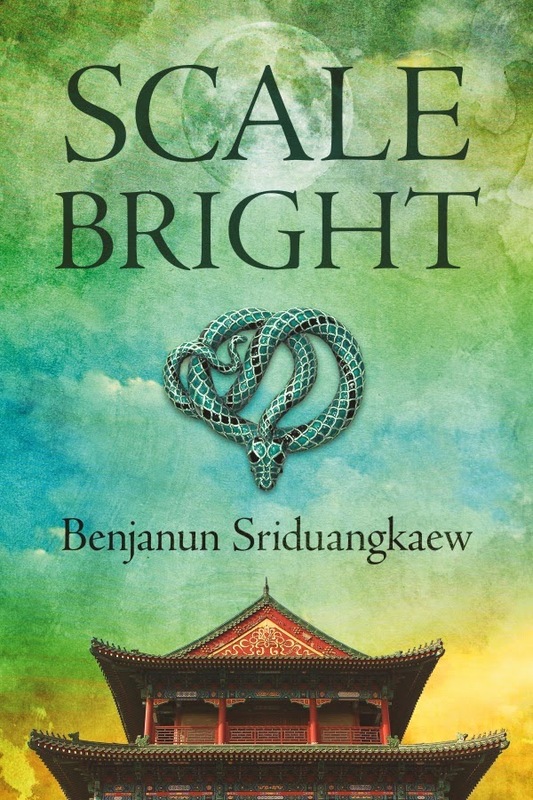 “Scale Bright” is Benjanun Sriduangkaew’s upcoming novella, due to be released by Immersion Press, and by the sounds of its blurb we can expect once again a fascinating world within our own, a captivating and original story, with melancholically and delicate touches. 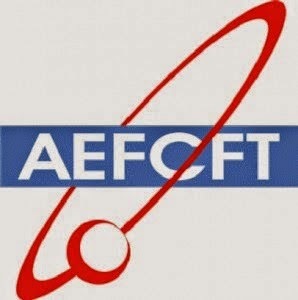 Besides the assured writing of Benjanun Sriduangkaew. To make things even better, Immersion Press didn’t repeat the slip it made with Aliette de Bodard’s “On a Red Station, Drifting” (as excellent as that novella was its cover was nowhere near its true value) and accompanied Benjanun Sriduangkaew’s “Scale Bright” with an equally seductive cover, created by Richard Wagner. As a result, there are plenty of arguments for me not to miss “Scale Bright” when it is released. Julienne’s aunts are the archer who shot down the suns and the woman who lives on the moon. They teach her that there’s more to the city of her birth than meets the eye—that beneath the modern chrome and glass of Hong Kong there are demons, gods, and the seethe of ancient feuds. As a mortal Julienne is to give them wide berth, for unlike her divine aunts she is painfully vulnerable, and choice prey for any demon. Until one day, she comes across a wounded, bleeding woman no one else can see, and is drawn into an old, old story of love, snake women, and the deathless monk who hunts them. AEFCFT, Asociación Española de Fantasía, Ciencia Ficción y Terror (The Spanish Fantasy, Science Fiction and Horror Association) has announced the nominees for the 2014 Ignotus Awards, the awards created in 1991 and celebrating each year the works of Spanish speculative fiction as well as the ones translated into Spanish. The winners of the 2014 Ignotus Awards will be announced at Hispacon – MIRcon, the Spanish National Fantasy and Science Fiction Convention, which takes place between 6th and 8th December in Montcada i Rexac (Barcelona).